Here’s a handy step-by-step guide to creating it. 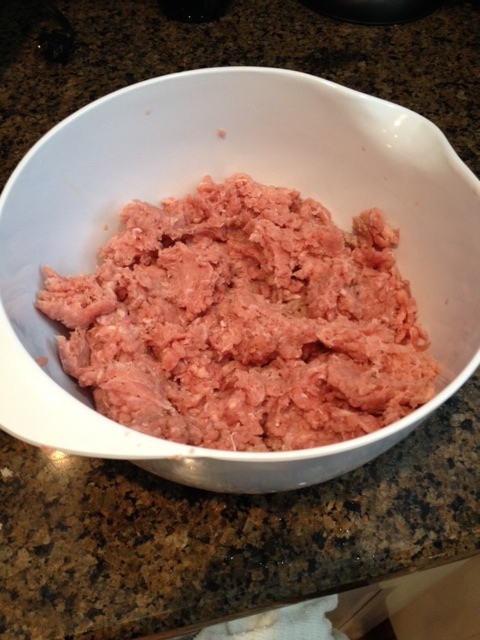 Start with two pounds of lean ground turkey. Be sure to get the lean variety, some ground turkey can be high in fat because it includes dark meat along with the white. The type I buy is all white meat and has 8 grams of fat per four-ounce. Put it in a bowl and hollow it out a bit so you can add the other ingredients. Pour in three tablespoons of egg white which will help bind it all together. Add panko, low-salt breadcrumbs, anywhere from a quarter to half a cup, or more, depending on your taste. The more breadcrumbs, the more substantial it will taste. 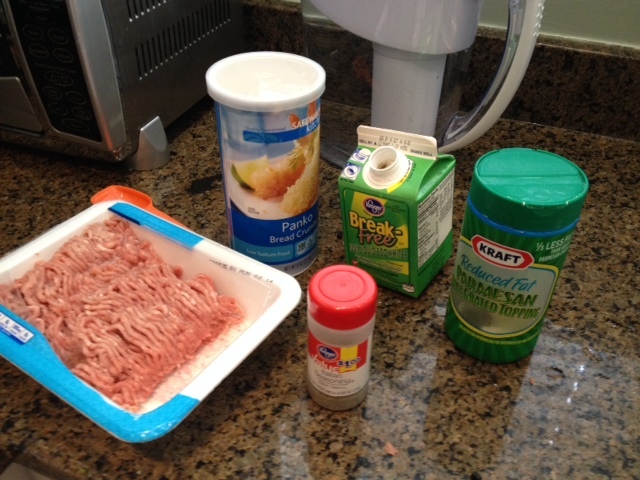 Next, add Italian spices for flavor along with reduced fat Parmesan cheese to your taste for some cheese flavoring. 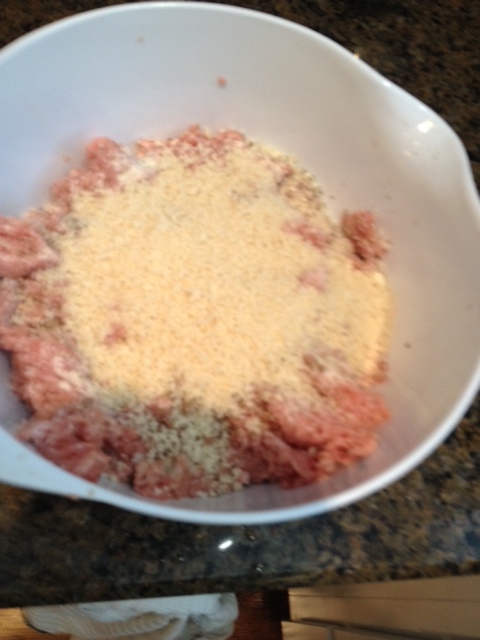 Add breadcrumbs, spices and cheese. 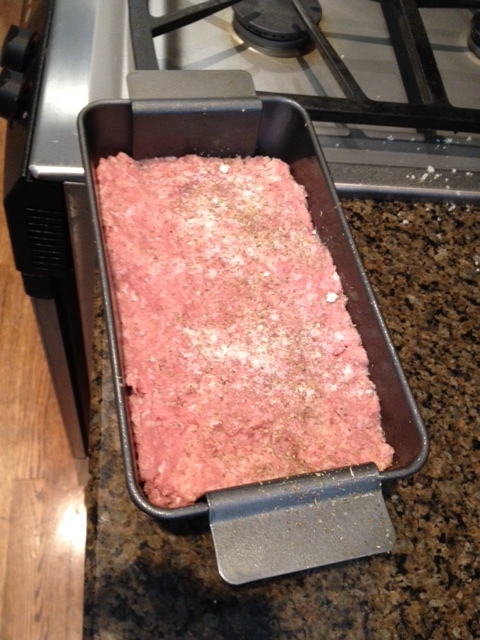 Mix it and form into a loaf to put in a meatloaf pan. I have one with a removable tray that makes it easy to take the finished product out for serving. Whatever kind you have, spray it with canola or olive oil to avoid the meat sticking to the pan while it cooks. Put in a 350-degree oven for at least an hour cooking time. Check it at an hour to see if it looks done. A two-pound loaf cooks down a bit, but it makes at least two meals for my wife and I. If you can get by with a quarter-pound slice a meal, it will last you longer. Heating leftovers during the week is a simple matter of slicing off what you want and popping it in a microwave for a minute or two. Garnish with a low-salt ketchup of your choice and you have a great-tasting, low-fat, low-salt meal to enjoy.